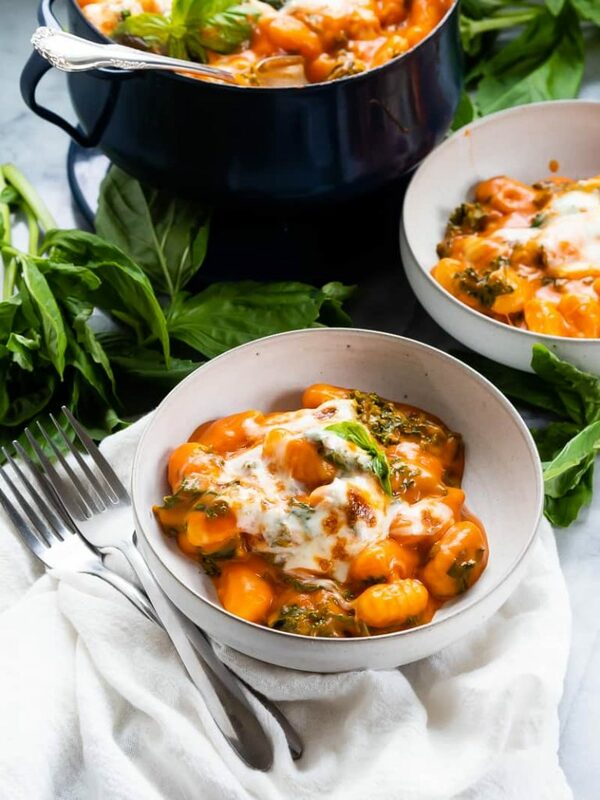 Welcome to your new favorite (ridiculously easy) meal: red pepper tomato baked gnocchi. This dish takes almost zero effort. I’m not exaggerating: it’s really ridiculously easy, and only has five ingredients. New year new … fast dinner? Sure. We’ll go with that. I wasn’t honestly sure this recipe idea was going to work, but it definitely did! 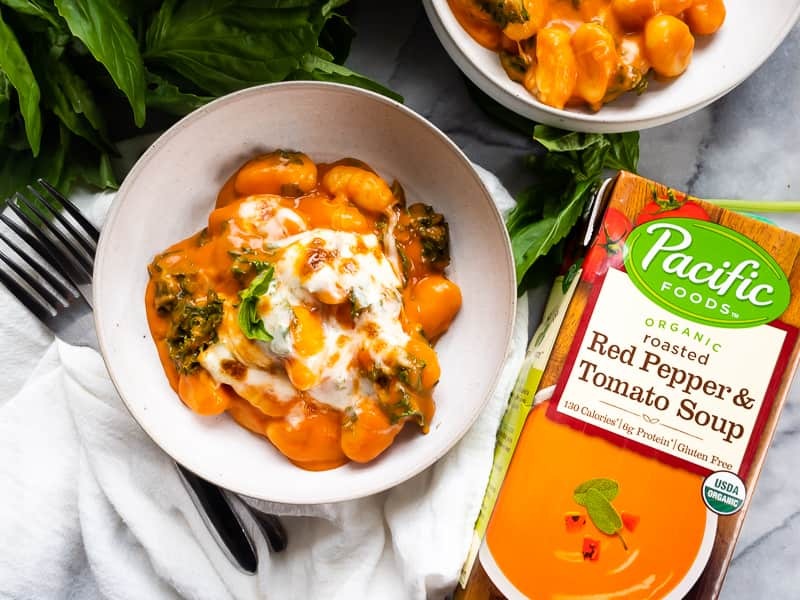 The thing that worried me was this: I didn’t cook the gnocchi in water — I cooked it in Pacific Foods Organic Roasted Red Pepper and Tomato Soup. Talk about CREAMY! This soup is phenomenal. Anywho — IT WORKED. 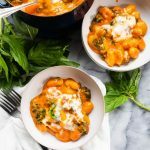 The gnocchi soaked the soup right up (I wasn’t even using fresh gnocchi — I was using the vacuum packed kind from the dry foods section! ), and was absolutely perfect. In true Mary style, I added kale and basil, then topped the whole thing with cheese. So. Easy. 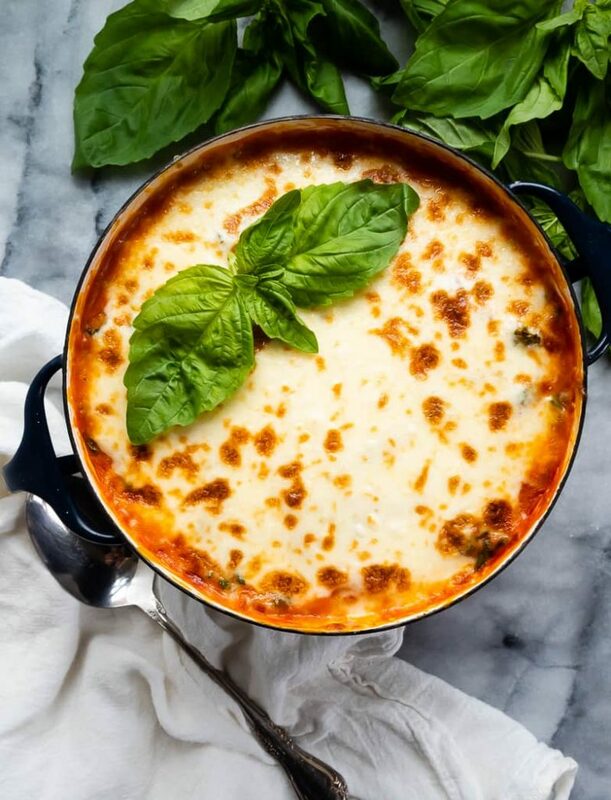 I’ve made this recipe a few times now, experimenting with various cooking techniques. Originally I thought I’d go for minimal interaction: throw it all together and toss it in the oven. It works, but it takes a little bit longer (bringing the soup up to temperature in the oven takes a while). If you go that route, just make sure you allow more time. I also tried putting the cheese in from the beginning: again, it works, but isn’t ideal. Since the soup is still rather soupy at the beginning, some of it gets above the cheese, and it doesn’t end up very pretty. 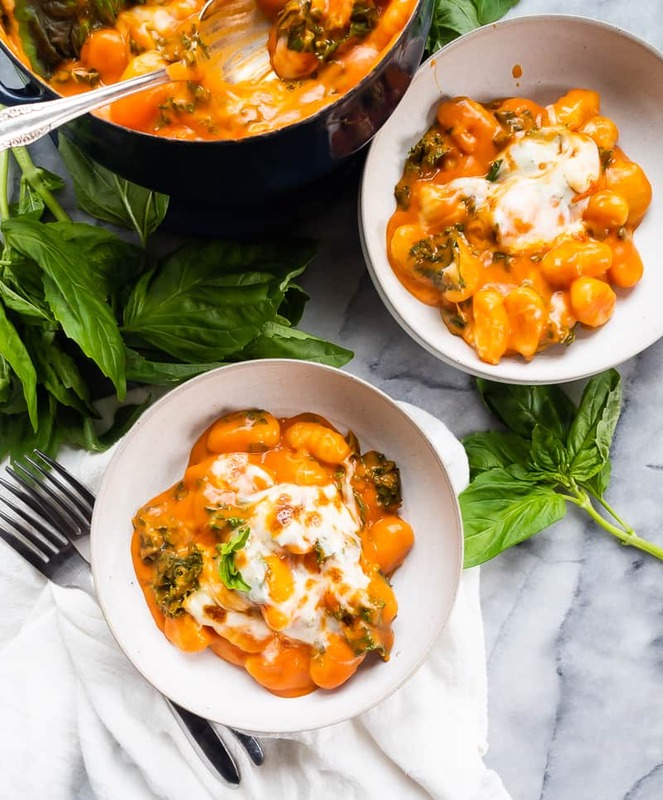 In the end, I settled on this technique: heat the soup on stove, then (again, we have options here) either add the gnocchi and continue to cook on the stove, or add the gnocchi and put it in the oven. Either way, the soup is up to temp so it shouldn’t take that long (oven will be slightly slower though!). 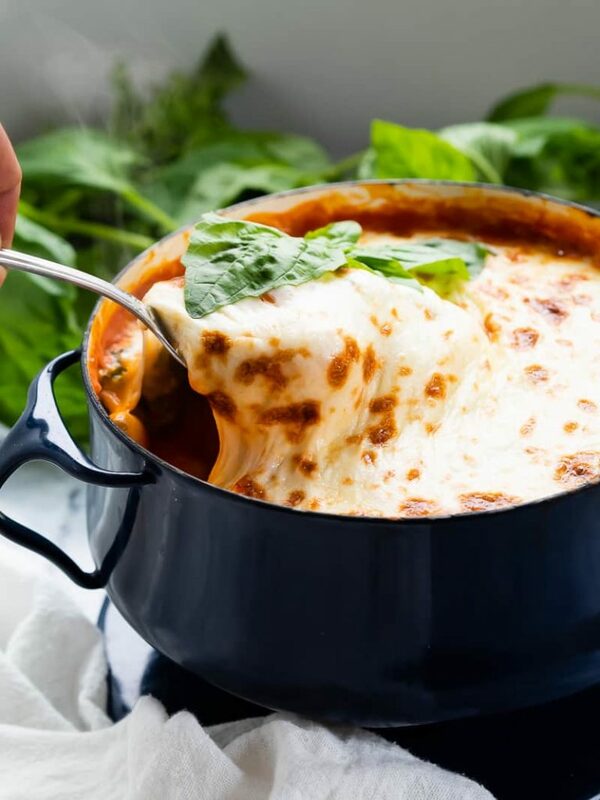 Use shredded low-moisture mozzarella, applied at the very end, and broiled for just a few minutes (until melted and browning).